No more dreading mornings for me. 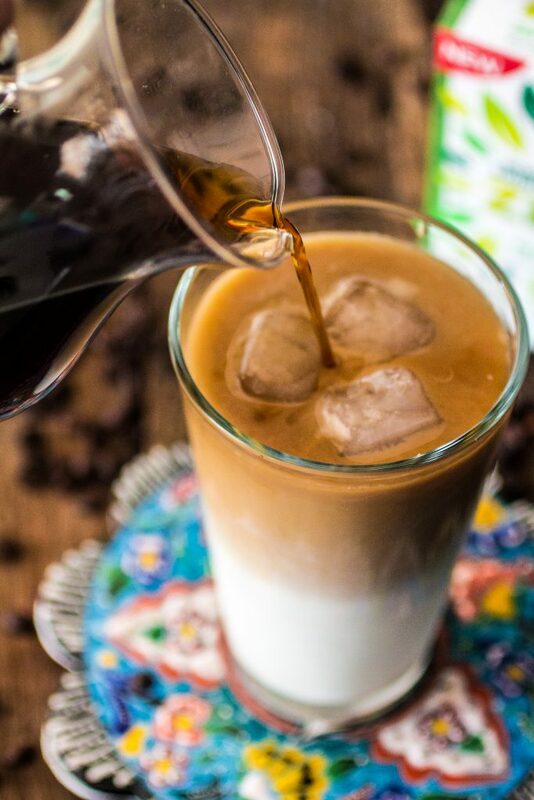 Yesterday, I went to bed looking forward to waking up so I could drink an ice cold glass of this delicious Thai Iced Coffee. As soon as the sun started beaming through my window (we still don’t have curtains and the blinds at the new apartment are white and don’t block the light) I jumped out of bed, poured myself a glass and am now enjoying it on my new balcony. Life is good! I confess I don’t have the best mood in the morning – poor husband! – so that’s a first! It is no surprise, though, that my matutinal good mood had something to do with food. It is no secret that I’m a foodie and like delicious things! I also have something of an eccentric taste. I confess: I like my coffee candy sweet. Yes, I’m usually that weird person at the coffee shop, dealing with 3 or 4 packs of sugar. The authentic Thai Iced Coffee uses sweet condensed milk as the sweetener, so you would think I’d be all over that. However, even though I’m all pro “eating whatever you want” I simply can’t indulge that much that early in the day! I also don’t have a stomach for anything too heavy in the morning. The problem is I often find the alternative sweeteners in US to have a “medicine-like” after taste, so I usually avoid them and go for the sugar. Not anymore! Born Sweet® Zing™ Zero Calorie Stevia Sweetener is the solution of my problems. 2 packets and my coffee is sweet as I like it, but without added calories! 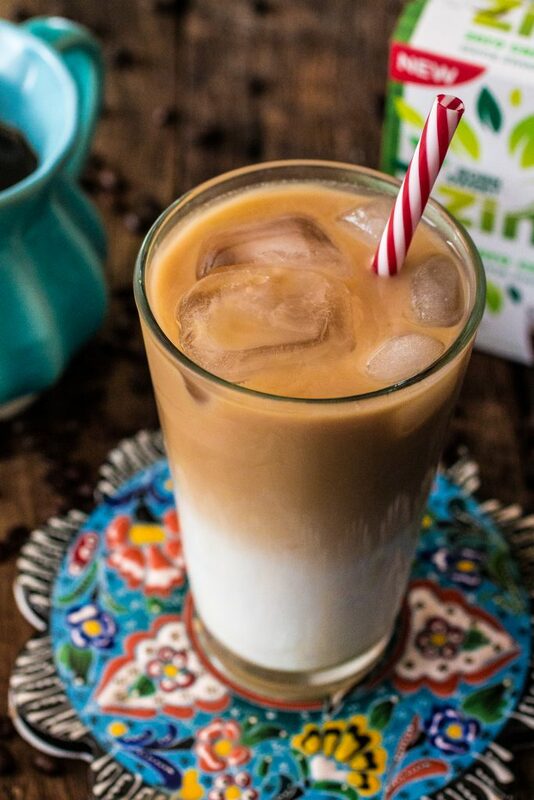 Zing™ Stevia Sweetener is also made with only real ingredients, nothing artificial. The sweetness is extracted from the leaves of the stevia plant, all Mother Nature’s doing. And it was great in my Thai Iced Coffee! 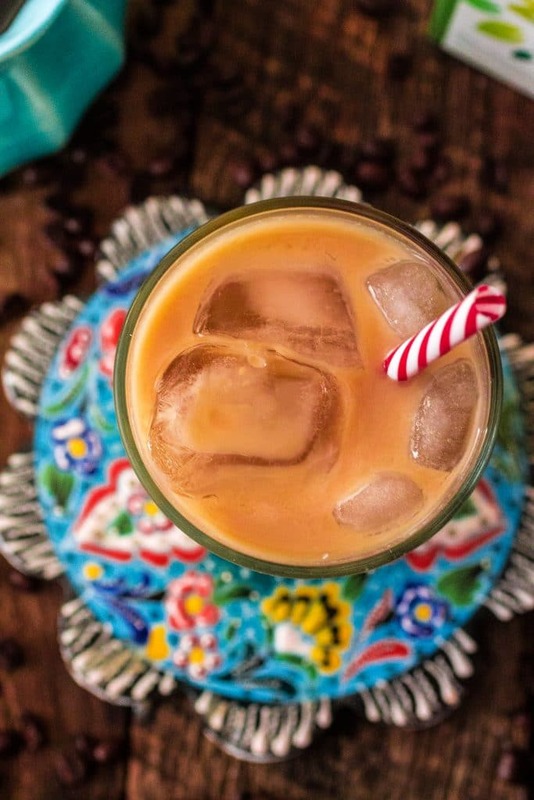 Oh, before you go all “Thai iced coffee? That sounds too difficult!” – I’m gonna say: it just sounds fancy, do not worry for a second. I mean, it does taste amazing and spiced, but making it is easy peasy! First, you just brew some really strong coffee. The coffee will be mixed with ice and half and half, so it will lose some of its strength. If you don’t like strongish coffee, just brew like you usually do but expect a somewhat weaker coffee at the end! Then you add some packets of Zing™ Zero Calorie Stevia Sweetener, a dash of vanilla extract and the spices – cardamom and cinnamon – and bring it to the fridge for a few hours or overnight. I also like to pour some of the coffee into ice trays to use as the ice, so the coffee doesn’t get too diluted. So overnight is better! When the coffee is cold and the ice is done, add the ice and the half and half or cream to the glasses and slowly pour the coffee so you get that macchiato look. Done! Easy, isn’t it? So what do you think? 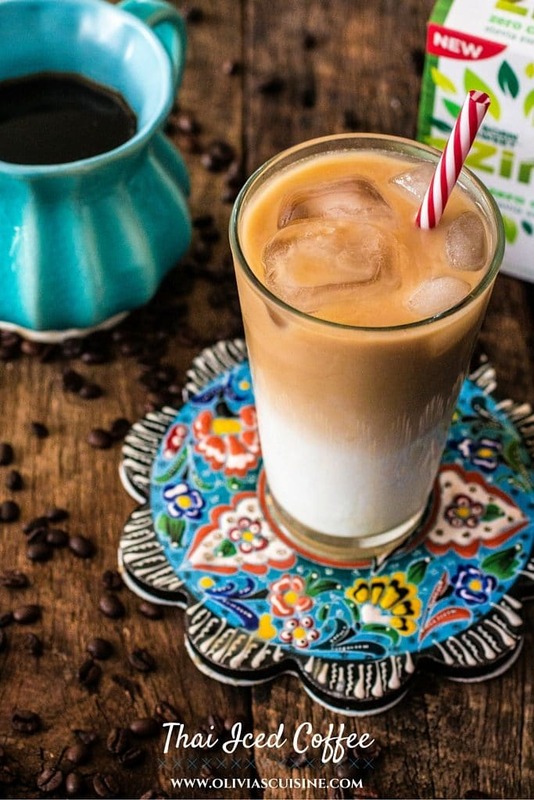 Does this iced coffee look delicious enough to make my old cranky self a morning person? Start by smashing the cardamom pods to release flavor and oils. Reserve. After you brew your coffee, separate 1/2 cup and add to an ice tray. Bring to the freezer to freeze. To the rest of the coffee, add the cardamom pods, the cinnamon, the vanilla extract and the sweetener. Stir and bring to the fridge overnight (or for at least 3 hours). When ready to serve, add the ice to the glasses and pour the half and half. Slowly pour the coffee. P.S. ADD ZING™ TO YOUR LIFE! 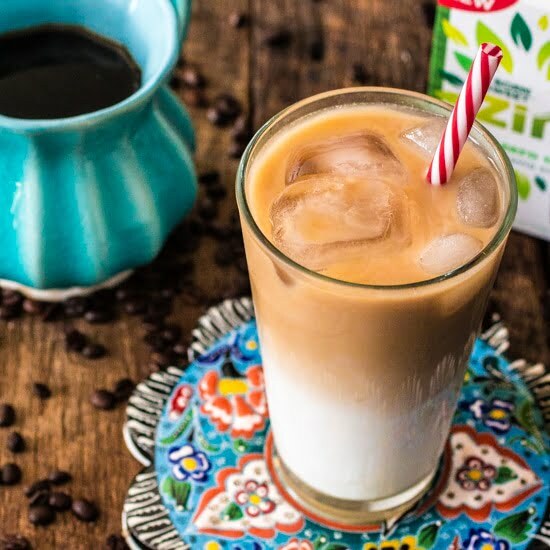 Give your taste buds something new and amaZING to be excited about — try new Zing™ Zero Calorie Stevia Sweetener for yourself! 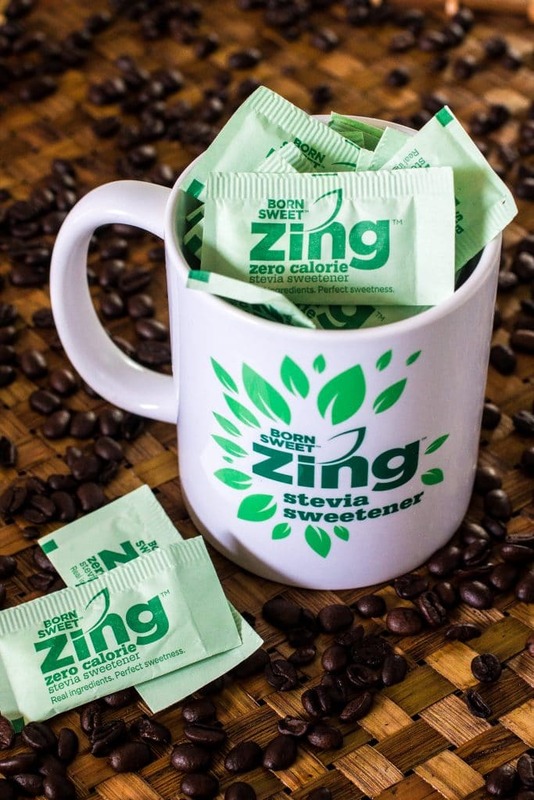 Get a Free Sample of Zing™ Zero Calorie Stevia Sweetener. P.S.2 Wanna keep in touch? Follow me on Facebook, Twitter, Instagram or Pinterest to stay up to date with my posts! If you end up making one of my recipes, I would love to see it! Just take a photo and post it on your preferred Social Media and tag me or use the hashtag #oliviascuisine! I love coffee drinks, pinning this one to my coffee drinks board! If you use a plastic ice tray, you should let the coffee cool before pouring it into the ice tray. 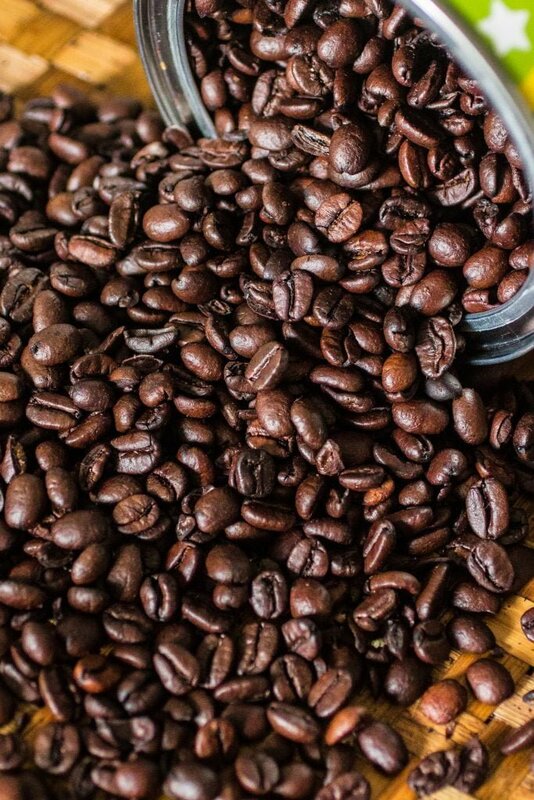 If the coffee is still hot when you pour it in, it can pick up a chemical taste from the plastic.